Although looking back on important milestones is always worthwhile, we believe the greatest adventures still lie ahead. Join cybersecurity leader ESET, scroll down to share your wishes and show the global ESET community how you Enjoy Safer Technology. Shape the next three decades of progress and innovation in IT security with us! 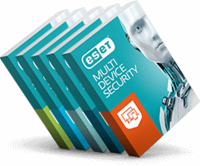 ESET introduces Advanced Heuristics throughout its whole product portfolio. ESET introduces Cloud Malware Detection in the form of ESET LiveGrid under its original name ThreatSense.Net. In the same year ESET pioneers object reputation technology. ESET introduces Exploit Blocker to its product portfolio. The feature monitors typically exploitable applications and in addition to particular CVE identifiers it focuses also on exploitation techniques.